When it comes to brilliant packaging, unique flavors, intricate details, and completely unexpected combinations, Japan’s candy reigns supreme. 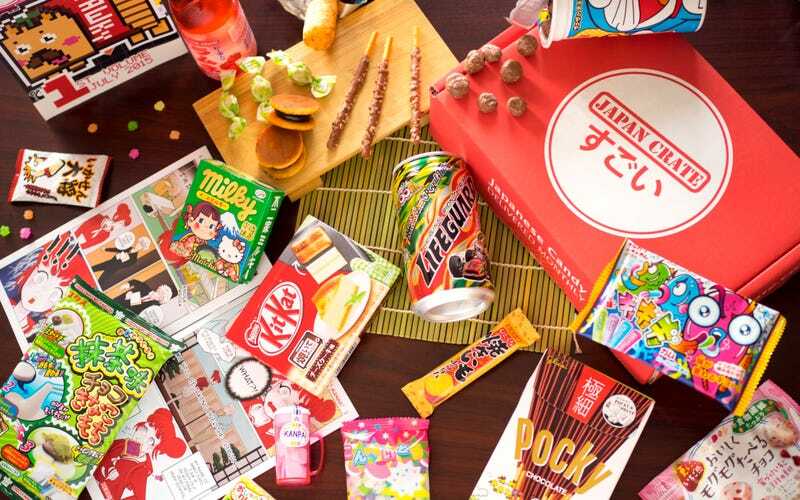 Experience the fun of Japan every month with a hand-picked crate of candy you never knew existed from Japan Crate. Get $3 off your first crate plus a free DIY ice cream cone candy with promo code gizmodo. Sign-up for Japan Crate now and get a taste of delicious Japanese Culture each month.With promo code gizmodo and you’ll get $3 off your first crate plus a DIY ice cream cone candy which will ship the first week of February. Offer not valid on the mini crate.